As I felt these feelings of frustration and impatience rose an inner voice reminded me of the Facebook Live teaching I'd done earlier, that SAME DAY. 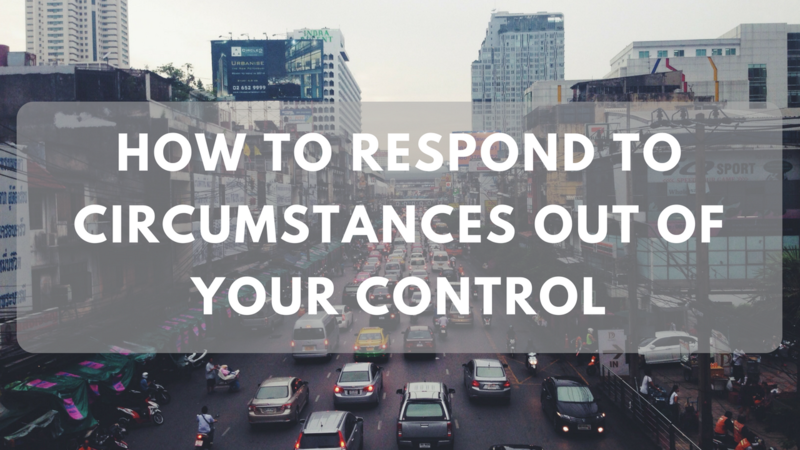 I spoke on how while we can't control our circumstances, we can control our response. UGH! Talk about having to EAT your words. Here I was chewing on frustration and impatience, and just before I partnered with those emotions to say something unkind, I'm reminded of what I can control. ME. I acknowledged my feelings and refused to give them any power. I refused to give them any voice, I wiped them away. I've lived impatient and frustrated before and this is not the person I want to be. These emotions had to go. I gave the circumstances a different story. I chose to be grateful and thank God we had paid for assigned seats. So, it didn't matter how late we got there, our seats were going to be waiting for us. And then, we hiked the full mile, UP HILL, from where we parked refusing to let things we cannot control rob us of our joy. Are there circumstances you cannot control happening in your life? Check out my FB Live teaching below. Try the simple exercise I share, see what impact it has on how you respond and let me know how it works for you in the comments below.